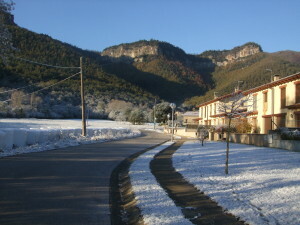 Hostalets is the newest village in Vall d’en Bas; and the only one that is totally flat. 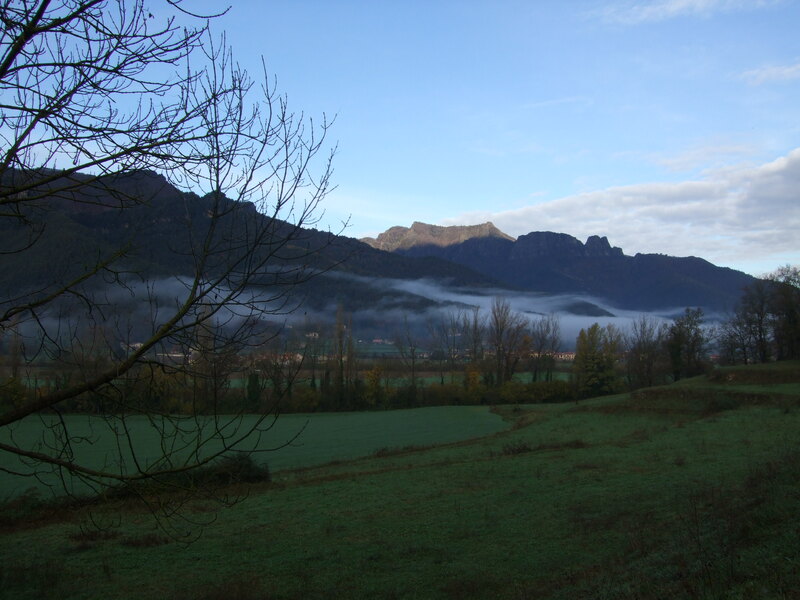 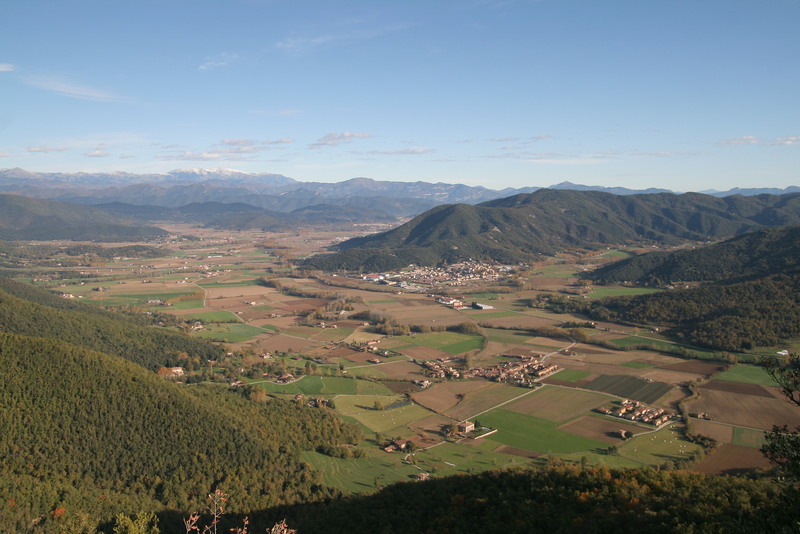 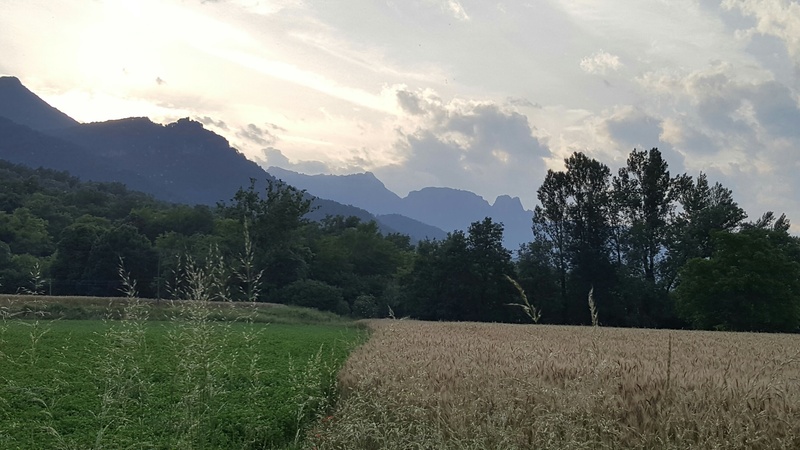 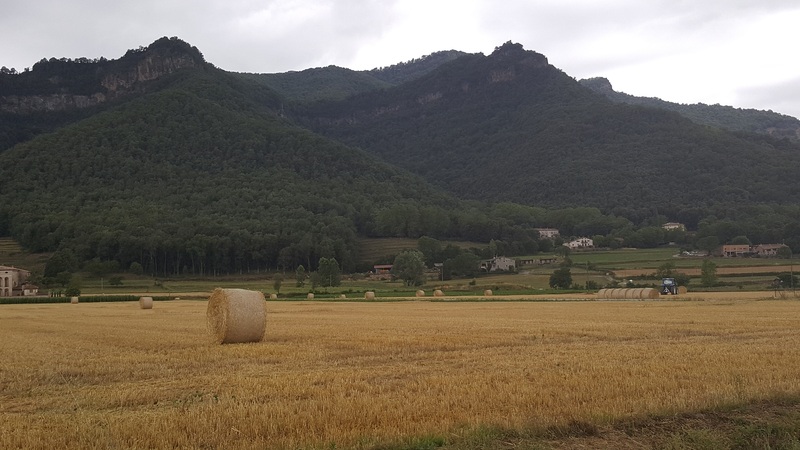 Unlike the other villages, it does not have a medieval origin, but it was formed from the 17th century with the construction of some hostels around the royal road that united Olot and Vic, and that welcomed travellers before or after to cross the Collsacabra mountains. 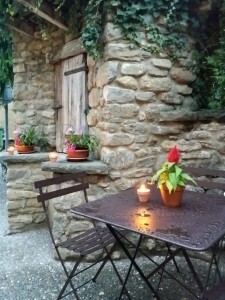 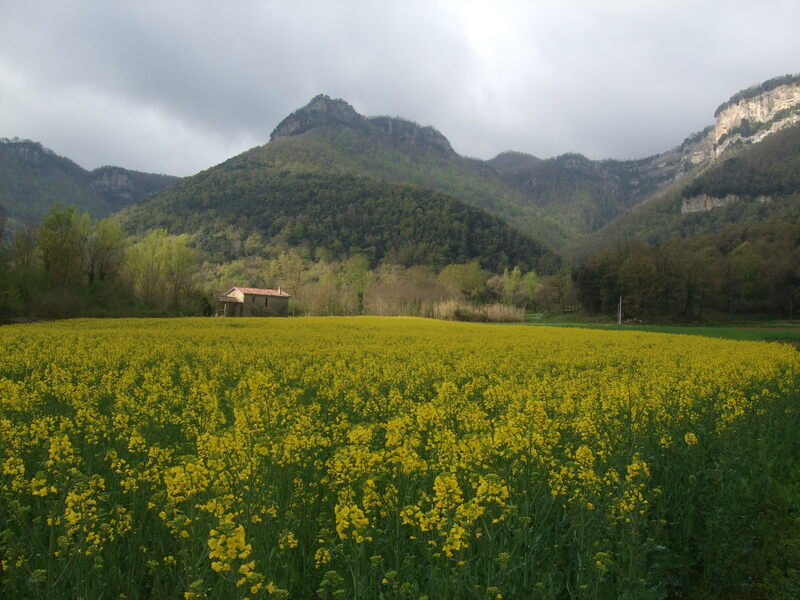 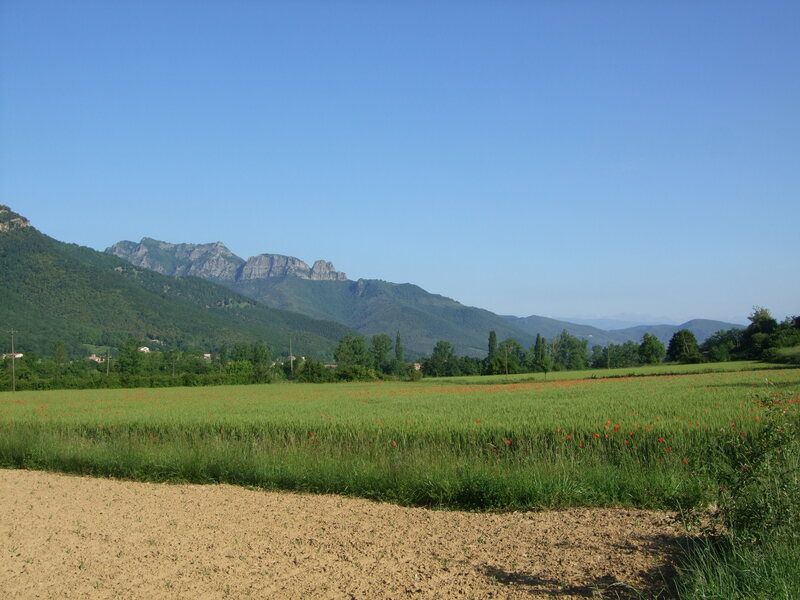 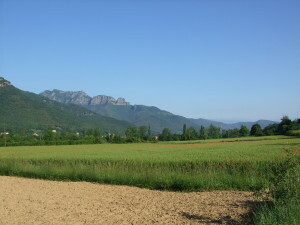 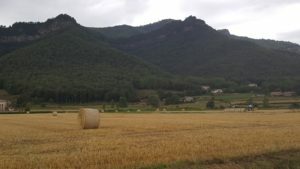 The importance of this route, which communicated the current Garrotxa with Central Catalonia and Barcelona, ​​made it a long-standing village. 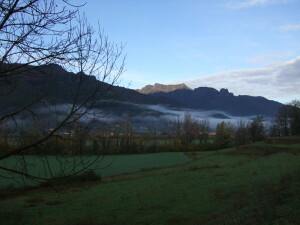 Nowadays, the town is well known for balconies, geraniums, old houses or forests that surround it, but – imitating the previous centuries – it is also an excellent starting and arrival point for many excursions through the Collsacabra, bicycle routes or simple walks through the fields and the nature of the valley.